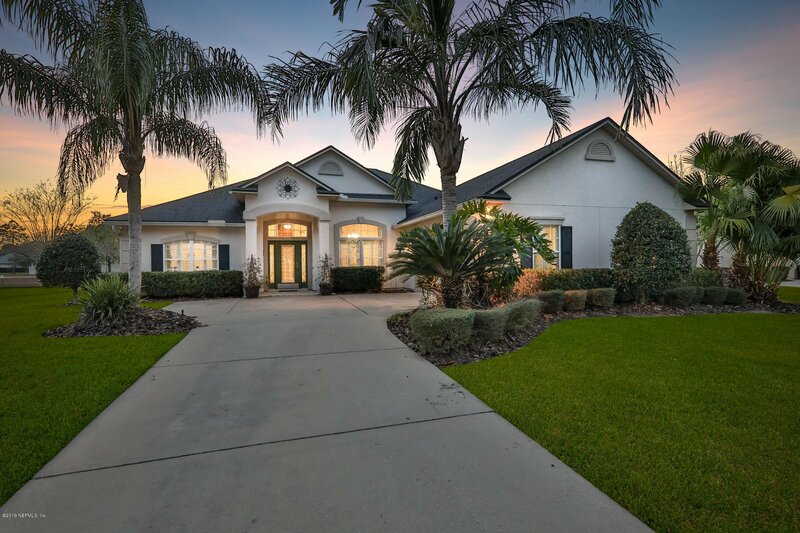 This cheerful Cimarrone Golf and Country Club home is light and bright and ready to move in! Kitchen features granite countertops, walk-in pantry and stylish black stainless appliances. Sun-filled master suite boasts tray ceilings, spacious walk-in closets, garden tub and entry to back patio. Open layout from kitchen leads to breakfast nook and family room area, both overlooking the backyard lake. Formal dining room as well as a 4th downstairs bedroom that easily doubles as an office. 2nd story features a spacious bonus area and the 3rd bath. Out back is a large screened porch, perfect for enjoying sunsets over the lake! Cimarrone Golf and Country Club is a gated community in St. Johns County, the highest-rated school district in the state! Enjoy golf, tennis, workout room, large beach-entry pool that adjoins a lap pool, 10,000 sf clubhouse and restaurant on site. This is a great opportunity - stop by and see this house today!